Yes, I’m feeling them too! After a week and a half of long lie-ins, relaxing days, eating naughty treats without the guilt and having loads of time to see friends and family; the end of Christmas has hit me pretty hard. I love it when the Christmas build up starts in November, but I really pay for it with the January blues! 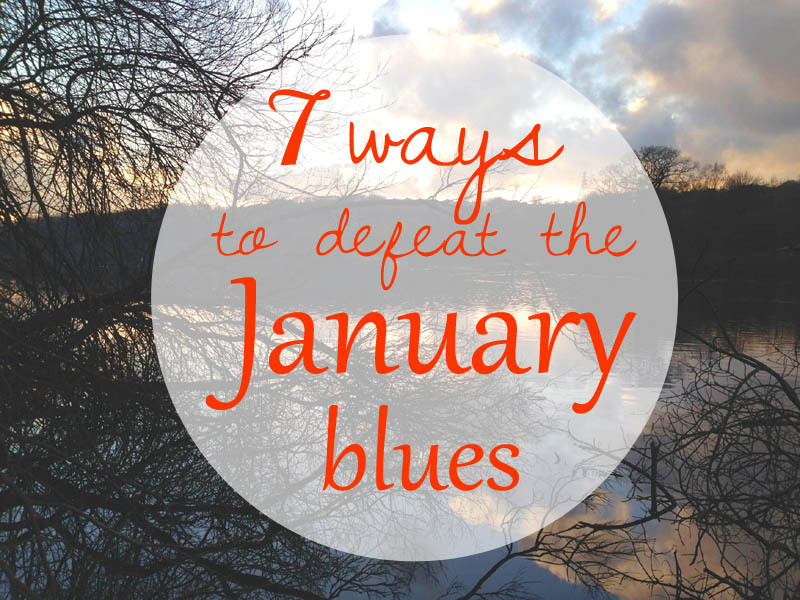 This year, though, I have been fully expecting the January blues, and so I’ve been planning ways to defeat them. Make plans for the rest of the year. There’s a good reason that so many holidays are booked during January – it’s because we all want something new to look forward to! But 2015 plans don’t have to be limited to holidays – pencil in some nights out for February, breakfast meet-ups for March and day trips for spring as well. Don’t forget to make some plans for January too, as this is what will keep you going all month! I have at least one nice activity or event in my diary for each week in January, which means every week I have something to look forward to (even if it’s not Christmas – boohoo!) Money is always going to be an issue this month so this does limit your options, but there are plenty of low-cost activities too if you think creatively. You’ve got lots of shiny new things for Christmas and you may have been shopping in the sales too. Instead of just adding all your new things to your existing collections, have a real good clear out instead to give new things the space they deserve. This is especially true of beauty products. I can’t wait to have a real good clear out of old products I don’t use and finish off all my almost-empty bottles ready to get started on the new products. I’ll also sort through some clothes to see if there’s anything I don’t wear that could be donated to charity or recycled, but mainly I want to rotate everything in my wardrobe so that all the exciting new pieces can get some prime space! Taking all the Christmas decorations down is heart-breaking, but once it’s done it’s a great opportunity for an early spring clean and possibly also a bit of room rearrangement, which might just be the refresh your home needs. 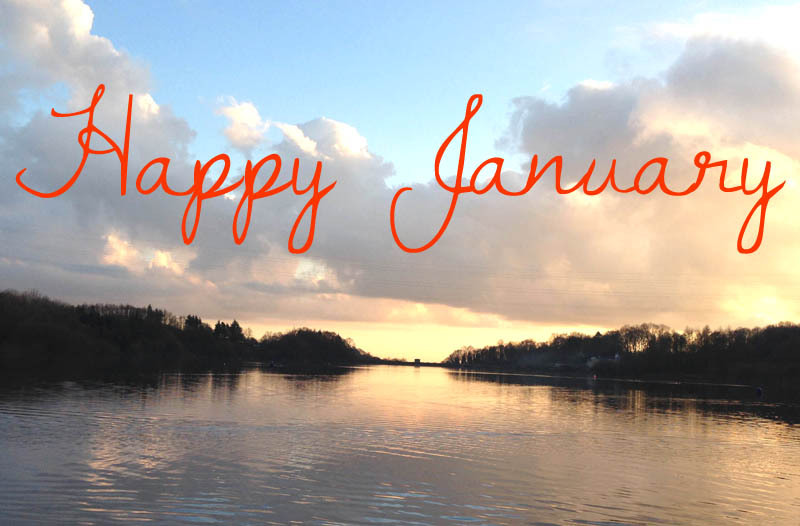 A New Year health kick is hardly a revelation, but that’s because January as good a time as any to start afresh. Because when else in the year can you truly say that you’re sick of eating chocolate? Search for healthy recipes in your cook books and online and make an exciting meal plan that’s healthy, inspiring and delicious. Then clear out the fridge and refill it with all your fresh healthy ingredients. Make time to enjoy the small things in January rather than wishing the month away. Even if it’s a quiet and sober month there are still opportunities for enjoying yourself, such as reading books, craft projects, spending time with family and going for long winter walks. And don’t forget, all those new things you received for Christmas are there to be enjoyed, whether it’s makeup to be experimented with, games to be played, DVDs to be watched or experience days to be booked. We’re all suffering in the same way, so why not spread some cheer? Maybe send someone you love something nice in the post – everyone loves happy mail! You could bake something tasty and take it into work to share, or cook a delicious meal for your family. Or how about arranging a cheap and cheerful pamper evening with a few friends, some face masks and some DIY manicures. These things would go down a treat at this time of year, and you’ll feel better for doing them too! If you’ve been off work for a long time over Christmas then the worst part of January surely has to be getting up early again to go back to work. I share in this pain! All I can suggest is to make it much more bearable with little treats – having something new and interesting for breakfast to make the early morning routine more exciting; taking a new mug to work for your morning brews or treating yourself to hot chocolate instead of tea; planning some nice work outfits to wear; having a desk clear out etc. And it’s always a good time of year to set yourself some work-related development goals so that you’re focussed and motivated right from the start of the year! Love this post, I’ve got a similar one coming up next week. Great minds eh?